Where Do You Show Up Online? 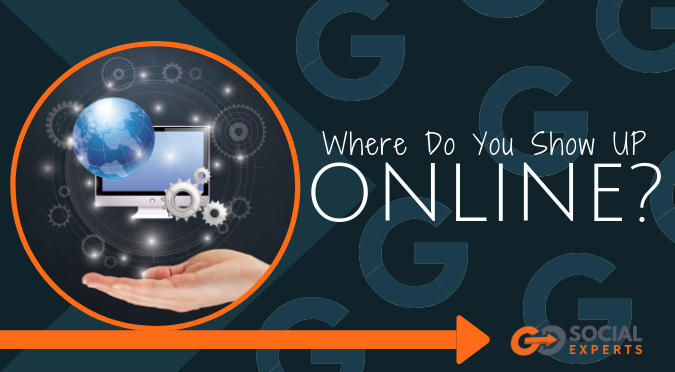 Where do you show up online? You’ve got a Website and your Google My Business page is up and working and you’re active on Facebook and a few other social media sites so that’s all you need to worry about… right? You have a good start with the above, but there are more. There are directory sites on the internet that list your business and they use the information they find in various places. It is good as long as the information for your business is accurate on the sites. I was talking to a client about this and he told me what happened to him. His doctor, who happened to be a friend, had referred a potential client to him. Then when this potential client searched for his business online, they found a phone number on one of the directory sites which happened to be the wrong number. The potential client never was able to connect with him and went to a competitor. This cost this client over $20,000 in lost sales, and that’s just the only one he knows about. Since then, this client has added our Digital Presence service to his business and all of the information has been corrected on these sites. The easiest way to check your Digital Presence on these directory sites is to use our tool. Click here to go to the site and check your listings on over 70 sites. Correcting the information on these sites and making sure your name, address and phone number are consistent helps people find you. But it also shows Google that you’re a legitimate business and that you’re located where you say you are and the best way to contact you. And since it’s consistent across the internet, it gives your website more credibility. After all, how many people take the time (or even have the time!) and effort to change over 70 different sites? Just making this one tweak will increase your online referrals. Optimizing these directories gives you a chance to show up multiple times on page one of a Google search and every listing you have exposes you to new customers and clients. P.S. If you would like to see what information is on your directory listings, click here to access a tool that will reveal how you show up across the internet. It’s a free tool, go ahead and give it a try. What do you have to lose? CLICK HERE!